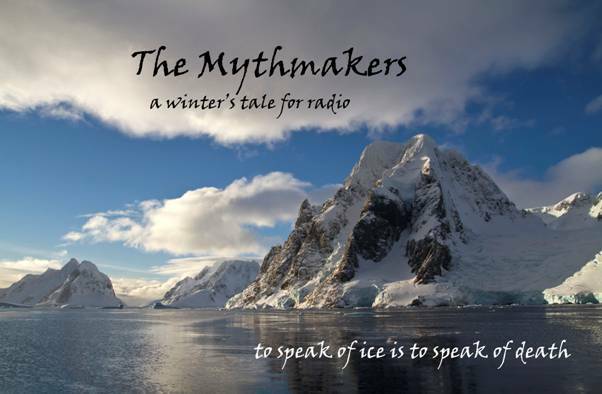 The Mythmakers ran successfully in London’s West End and in New York, and its authors have now adapted it for radio. This winter’s tale about the unlikely friendship between two wildly differing men, perhaps the most famous of their day, stands against an atmospheric soundscape of the savage but fragile Antarctic as it began to melt. Glen Prosen is a gentle glen in the Scottish Grampians, East of the Highlands, near to where JM Barrie was born. Barrie returned frequently to see his family and sometimes rented the laird’s house Balnaboth, far up the glen. The Scotts were a border clan, full of the fierce blood of the reivers (cattle thieves before the union with England) and Capt Scott’s ancestor was Michael Scott, ‘The Wizard,’ formidable alchemist and philosopher, with many languages, who maintained the first Scottish library and wove magic all over Europe. Barrie and Scott shared the same publisher, whose cottage in the glen Scott rented to plan his final expedition. If opened in a smartphone it can be listened to on a journey. It is part of the Herne Bay International Radio Drama Festival, 22nd to 27th February 2016.